I arrived in Ushuaia, Argentina with a couple of days to spare, to allow my luggage to catch up in case of delays. Where is Ushuaia, you say? 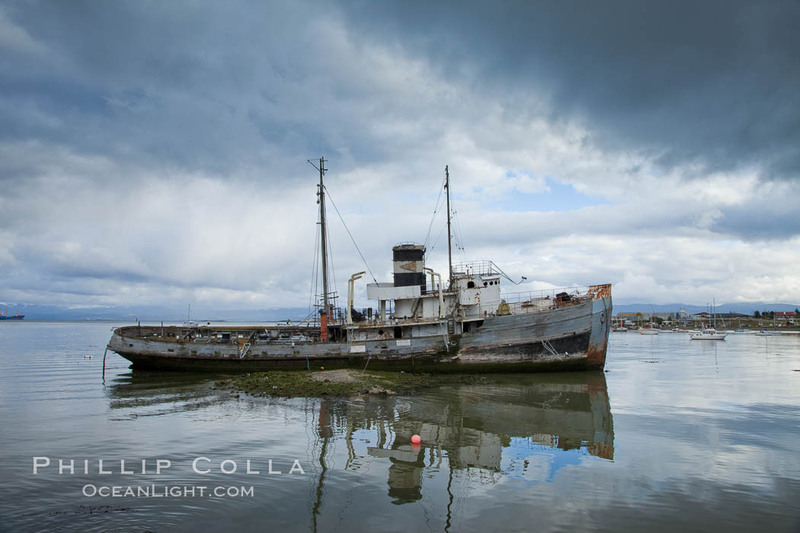 It is a small but growing town at the southern tip of Argentina, situated on the archipelago of Tierra del Fuego. 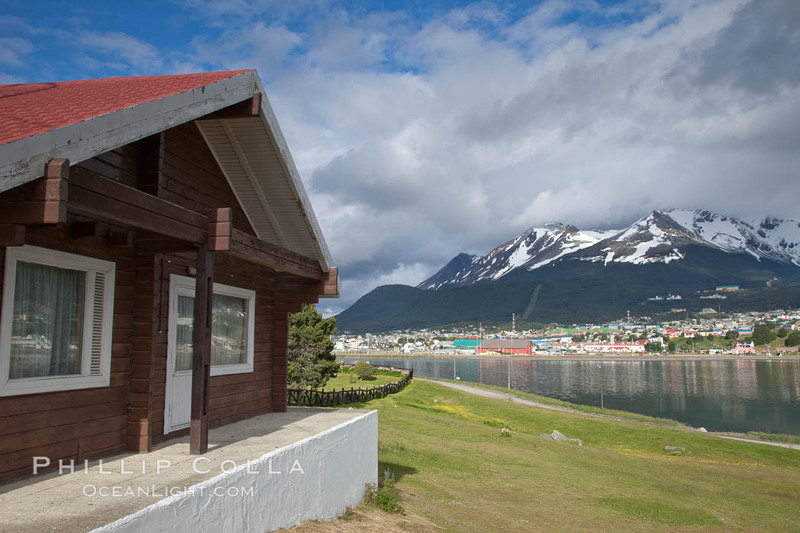 Ushuaia’s claim to fame — besides the fact that simply uttering “Ushuaia” is almost as fun as saying Mu Shu which is my favorite Chinese dish — is that Ushuaia is the southernmost city in the world! That, and the fact that it is only a two day sail from Ushuaia to the northern reaches of the Antarctic Peninsula across the notoriously rough waters of the Drake Passage and Cape Horn, means Ushuaia is on the itinerary for most people traveling in search of adventure in Antarctica. Air travel is always unpleasant, but my connections this time were difficult for a couple reasons. I encountered crazy security screening at LAX. I flew on December 26, the day after the Christmas Day Terrorist tried — and failed! — to blow up his own underwear along with his fellow passengers. (Ma’salaama you clown. Epic fail in your plans for martyrdom and yet you still managed to make life miserable for the rest of us.) So in the wake of that event, security at LAX was seriously heightened and took a long while to navigate. It seems they always hand search my backpack, and this day was no exception. However, the TSA guy was a photographer (even able to ID my long lenses “300/2.8! 500/4!”). He was cool and made the search as pleasant as possible given the level of alert. Through Dallas then red-eye to Buenos Aires, where I joined a few others for a taxi from the international airport to the domestic airport. That’s where the fun really began. The arbitrary and capricious ticket agents at Aerolineas Argentina put several of us through the wringer for our heavy carryon bags. Jeez, folks, just charge me a fee already and let me on the plane! I was sweating it when they insisted I check my 40 pounds and $20k worth of gear through as checked luggage, knowing it would either be stolen or trashed. Eventually a “manager” let me carry it on the plane, for a “small fee”. Hey, this is South America, someone’s palm always has to be greased. Our flight to the southern tip of South America stopped in a few small places on the way, including El Calafate that climbers and trekkers use as a sending off point to reach Monte Fitz Roy and other remarkable Patagonian peaks — next time I should stop there and check out all that mountain stuff. The clouds on arrival to Ushuaia, wrapped around the towering peaks of the southern Andes mountains, were unbelievable. It was like we were flying in an IMax movie, very moving and heavenly. Eventually I reach the hotel, enjoy a nice Chilean wine, cheese and a tough hamburguesa, and hit the sack after about 40 hours of no sleep. Crashola. The following morning I take a cab for the short ride to Glaciar Martial (with a hard “T” in the name). It is overcast and chilly, but not too windy. I take the aerosilla (chairlift) up to the foot of a beautiful glacial valley, at the top of which is Martial Glacier. The view down the valley and out to the Beagle Channel, and beyond to what I think is Chile, is nice, and would be superb on a sunny day. Very few people are here, I like that! It is quiet. 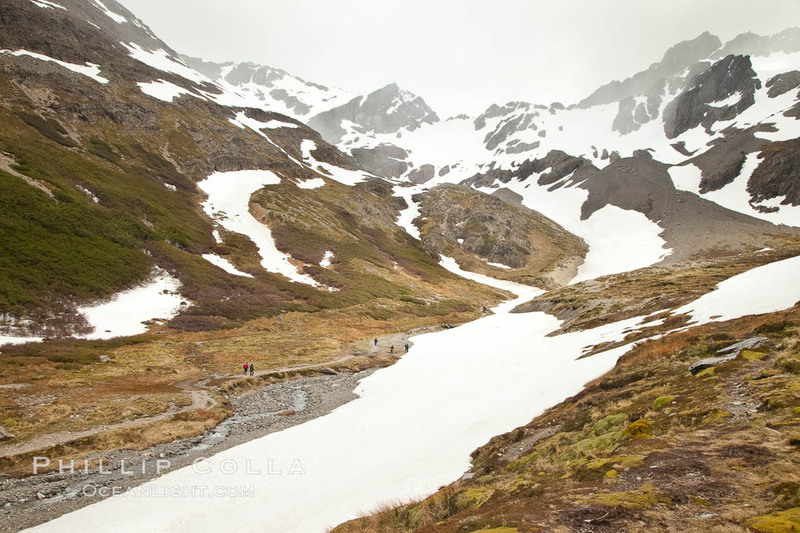 A small stream winds down the valley, melt from the glacier and snow fields above. I hike up to the glacier and look around. A few more people are here as I make my way down to the aerosilla again. I took no photos while up on the glacier, though, as the snow was falling more and more as the morning went on. It is raining hard now, so I make my way back to Ushuaia town and have lunch. The afternoon is lost to reading and wandering along the waterfront between rain squalls where I spot an interesting old scow lying dead in the water in the shallows of the harbor. Well, is this what I have to expect for our trip? Later, my roommate for the trip, Don, arrives and we get to know one another a bit. Dinner at the Albatross Hotel dining room with old friends Al and Beth, along with new friends Steve, Mary, Jay and Jackie, wraps up the day.